4 Channel. Embedded Linux OS. True H.264 Compression. Triplex function - simultaneous record / playback / network. 1 main composite. 1 spot. 1 VGA. Touch Sensitive Front Panel Interface. USB Flashdrive Backup. USB CD-RW. DVD-RW Backup. Internal HDD (SATA): 1 (Up to 1TB). 1 Ch Audio with remote Audio over network. Watermark. Watch dog / Power Failure Recovery. Firmware upgrade via USB. USB mouse controlled. RS-422/485 for PTZ speed dome and Controller Keyboard. Simultaneous users. Free DDNS Support. Remote View via iPhone. BlackBerry and Windows Mobile Phone (Tested in US. Canada. and Korea). 4 Channel. Embedded Linux OS. True H.264 Compression. Triplex function - simultaneous record / playback / network. 1main composite. 1 spot. 1 VGA.Touch Sensitive Front Panel Interface. USB Flashdrive Backup. USB CD-RW. DVD-RW Backup. Internal HDD (SATA): 1 (Up to 1TB). 1 Ch Audio with remote Audio over network. Watermark. Watch dog / Power Failure Recovery. Firmware upgrade via USB. USB mouse controlled. RS-422/485 for PTZ speed dome and Controller Keyboard. Simultaneous users. Free DDNS Support. Remote View via iPhone. BlackBerry and Windows Mobile. Phone (Tested in US. Canada. and Korea). Optional HDD price and installation upon request. Real time live display in all channels. Triplex (Playback/Recording/Ethernet). Web monitoring and download through network. Easy control by mouse. USB host for data backup. Easy PTZ Camera (Mouse). Password Protection. Web Control. 4CH Video 120ips USB. 1CH Audio. VGA. Half 1U (Remote Control include). 4 BNC Video Input. 30ips each channe1-CH Audio Recording. H.264 Recording; 5 Levels Presets of Recording Mode . Schedule. Alarm. Motion Detection. Recording Modes. Ethernet RJ45 Connector. 10/100/1000Mbps. Supports PPPoE/DDNS/DHCP. Up to 2 SATA HDD Storage. USB. Thumb Drive. External CD-RW/DVD-RW Backup. VGA 800x600. 1024x768. 1280x1024 pixels. HDMI 1024x768. 1280x1024. 1920x1080 pixels. 1 Year Warranty. 8CH Video 120ips USB. 1CH Audio. VGA. Half 1U (Remote Control include). 4 BNC Video Input. 30ips each channe1-CH Audio Recording. H.264 Recording; 5 Levels Presets of Recording Mode . Schedule. Alarm. Motion Detection. Recording Modes. Ethernet RJ45 Connector. 10/100/1000Mbps. Supports PPPoE/DDNS/DHCP. Up to 2 SATA HDD Storage. USB. Thumb Drive. External CD-RW/DVD-RW Backup. VGA 800x600. 1024x768. 1280x1024 pixels. HDMI 1024x768. 1280x1024. 1920x1080 pixels. 1 Year Warranty. 16CH Video 120ips USB. 1CH Audio. VGA. Half 1U (Remote Control include). 4 BNC Video Input. 30ips each channe1-CH Audio Recording. H.264 Recording; 5 Levels Presets of Recording Mode . Schedule. Alarm. Motion Detection. Recording Modes. Ethernet RJ45 Connector. 10/100/1000Mbps. Supports PPPoE/DDNS/DHCP. Up to 2 SATA HDD Storage. USB. Thumb Drive. External CD-RW/DVD-RW Backup. VGA 800x600. 1024x768. 1280x1024 pixels. HDMI 1024x768. 1280x1024. 1920x1080 pixels. 1 Year Warranty. A DVR helps you record video in a digital format to a disk drive, USB flash drive, SD memory card, SSD or other local or networked mass storage device. You can order these DVRs and get them delivered at your home steps. 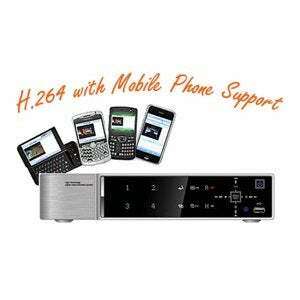 Our range of DVR includes 4CH Video 120ips USB, 8CH Video 120ips USB, and 16CH Video 120ips USB. You can go through the specifications of the DVRs and select one aligning with your requirements. Safety and quality are our first priority and we work continuously towards customer satisfaction. All our products are RoHS compliant and environment friendly. All our products are eligible for lifetime technical support.